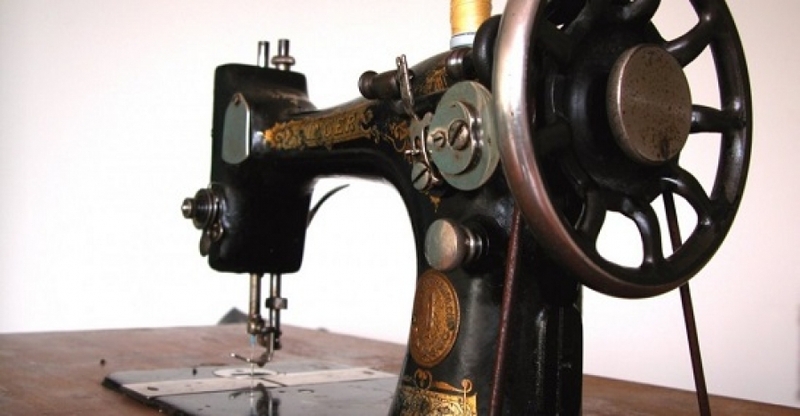 Why Are The 10 Manufacturers Of Sewing Machines Most Famous In History - Trishtha Industries Pvt. Ltd. But when did the sewing machine create? Despite different theories and debates on this subject, it seems that in the late eighteenth century (1755) arise early prototypes needle in London to patent the German Charles Weisnthal a needle use a type of mechanized sewing a bit rudimentary replace manual labor with the passage of time. It was not until the nineteenth century when the sewing machine is becoming an important invention in Britain and other European countries like Germany, Austria or France. Thus, many are trying attributed inventors and patent the invention of the first sewing machines Saint Thomas, Balthasar Krems or Josef Madersperger , among others. These early inventions would represent a turning point for the trades of tailor and seamstress, who had developed the traditional way so far. It was not until 1830 when internationally recognized Barthelemy Thimonnier as the inventor of the sewing machine. The patent granted to Thimonnier by the French Government and the construction of a factory with more than 80 machines, assumed different attacks suffered by tailors fearful of losing their jobs. Finally numerous boycotts had to flee to England. In the US, a twin-wire machine was invented by Walter Hunt in 1834 and later improved by Elias Howe in 1845. As the years progressed, couture sits in countries like France and Paris becomes the capital of world fashion. In 1868 the first actions to combat counterfeiting of couture designs and in 1929, a school that provides tools for professionals and working sewing thread is created arise. Among the most famous sewing machine it should distinguish those that were designed for private use against other used in factories and industry. 1. Singer manufactures its first sewing machine in 1912 although it was founded in 1851 by Isaac Merritt Singer. 2. Alfa: Spanish company created in 1920. 3. Elna: Invented by Ramon Casas, was a real revolution for sewing machines family. 4. Juki: World leader in sewing machine technology since the beginning of its activity in 1947. 5. Pfaff: One of the largest producers of sewing machines in Europe began trading in 1862. 6. Husqvarna: Founded as a weapon factory in 1689. It produces sewing machines since 1872. 7. Brother: Brand Japanese sewing machine born in 1908 and started its international expansion during the 50s. 8. Gritzner: sewing machines premiered in 1872, producing some of the most renowned models during the Victorian era. 9. Bernina leading global brand of sewing and embroidery. 10. Bernette: First mark a sewing machine factory with the capacity to 100 stitches per minute.